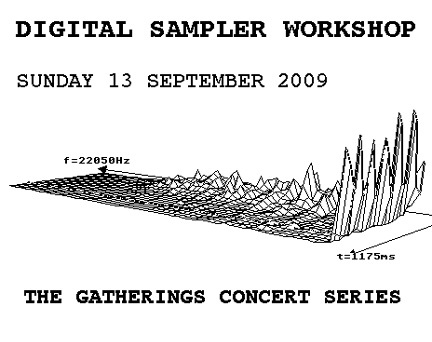 On Sunday 13 September 2009 at 7:00pm The Gatherings Concert Series will present a workshop on Digital Sampling at St. Mary's Hamilton Village. This workshop will focus on the capabilities of sampling technology and is open to anyone interested in learning more about the basic concepts of the hardware software used. If you have ever listened to contemporary electronic music and become curious about how the sampler functions and is used in the creation process, or are interested in making your own music with such a device, then this workshop is for you! 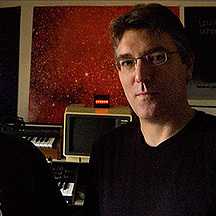 The Sampler Workshop at The Gatherings will be headed by veteran synthesist Harrison McKay, a leading talent in the field of music technology and in music performance with the Spacemusic duo The Tangent Project. Demonstrating on an array of gear McKay will discuss the history, technology, equipment and basic concepts involved in using a sampler and the realization of music. Attendees will have an opportunity to observe close-up the workings of a sampler, hear how samples are created, modified and turned into music and learn how these means might be used in their own creative endeavors. Whether you are a beginner, a music fan or have advanced knowledge, you will come away from this workshop with a better understanding of the sampler, the people who use them and deeper insight into and better appreciation of the many genres of music inspired by this technology. The primary educational goal of this workshop is to teach the novice the basic operation of a digital sampling musical instrument, and will cover the essentials a first-time user needs to know about setting up and operating this technology. 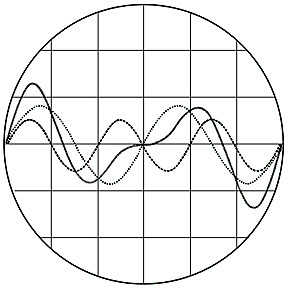 Concepts to be covered include: basic historical background of sampling, examples of sampling in contemporary music, overview of sampling fundamentals, operation of hardware and software involved in sampling and ultimately, insight into how these components and concepts may be integrated with the aim of realizing musical expressions. A sampler is an electronic musical instrument closely related to a synthesizer. Instead of generating sounds from scratch, however, a sampler starts with multiple recordings (or "samples") of different sounds added by the user, and then plays each back based on how the instrument is configured. Because these samples are usually stored in RAM, the information can be quickly accessed. Unlike traditional digital audio playback, each sample is associated with a set of synthesis parameters, and can thus be modified in many different ways. Most samplers have polyphonic capabilities - they are able to play more than one note at the same time. Many are also multitimbral and possessing the ability to play back different sounds at the same time. Samplers can be classified as phrase samplers or studio samplers. The latter term is informal, the former appears in the manufacturer's documentation. With phrase samplers, each keymap spans only a single keyboard key and generally has a unique sample associayed with it. For a studio sampler, this would require a large number of zones (61 to fill a standard musical keyboard), each with its own settings; with each keymap programmed to span only one key. This is time consuming work (especially on older menu-driven hardware samplers). Using the phrase sampling approach is less laborious and makes a translation to another interface (such as the 16 touch pads on the Akai MPC series) easier. It also saves computing power as the sampling engine does not have to re-pitch each sample (there is no need for an anti-aliasing algorithm) - it only has to play it back. As the user interface is simplified, this method is a more attractive option for live use. Studio samplers work as described above with the keymapping system. It is assumed that the user wants to "spread out" a sample over a certain range of keys. This has certain side-effects. These are desirable - such as speeding up or slowing down drum loops, effectively turning a sampler into a digital turntable. In some cases this is not desired; when for instance not enough samples are taken of an instrument, the higher and lower parts of a keymap may sound unnatural, and the transition from one keymap to another may be too noticeable. For mimicking realistic instruments, the art is to make transitions as smooth as possible. The formats differ in obvious ways - studio samplers are available in various musical keyboard sizes as well as 19" rack format, phrase samplers have a groovebox format, are lightweight, easy to operate and transport. The emergence of the digital sampler made sampling far more practical. Prior to computer memory-based samplers, musicians used tape replay keyboards (e.g. Mellotron, Camberlin), which stored recordings of musical instrument notes and sound effects on analog tape. As samplers added progressively more digital processing to their recorded sounds, they began to merge into the mainstream of modern digital synthesizers. 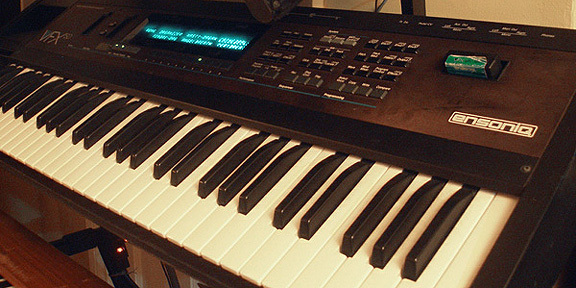 The first digital sampling synthesiser was the Computer Music Melodian which was first available in 1976 . The first polyphonic digital sampling synthesiser was the Australian-produced Fairlight CMI which was first available in 1979. Modern digital samplers primarily use digital technology to process the samples into interesting sounds. Akai pioneered many processing techniques, such as Crossfade Looping to eliminate glitches and Time Stretch which allows for shortening or lengthening of samples without affecting pitch and vice versa. During the early 1990s hybrid synthesizers began to emerge that utilized very short samples of natural sounds and instruments (usually the attack phase of the instrument) along with digital synthesis to create more realistic instrument sounds. Examples of this are Korg's M1, 01W and the later Triton and Trinity series, Yamaha's SY series and the Kawai K series of instruments. Modern-day music workstations usually feature an element of sampling, from simple playback to complex editing that matches all but the most advanced dedicated samplers. Samplers, together with traditional Foley artists, are the mainstay of modern sound effect s production. The Gatherings Concert Series hosts the Digital Sampler Wokshop with Harrison McKay on Sunday 13 September 2009 at 7:00pm (doors open at 6:30pm) in the parish hall of St. Mary's Hamilton Village 3916 Locust Walk (just east of 40th & Locust) on the Penn campus in West Philadelphia. Requested Donation: $10 at the door. All ages welcome. No previous knowledge of music or technology needed (although helpful).